Knowing some facts about the country you are planning on traveling to can be extremely useful and demonstrates your respect for the culture. Cambodia is sometimes described as a less developed country in South East Asia. Despite the rough and the tough lifestyle they have gone through, including brutal wars and everyday hardships, Cambodians are extremely warm welcoming people and go out of their way for people visiting their country. Around 95% of Cambodians are Buddhist, which is reflected a lot in their daily lives. Cambodia is a collective culture that emphasizes a hierarchy within society. They live with a common hierarchy where you are taught to respect your elders and almost everything is based on your age. Common hierarchy guidelines are that the parents are superior to children, managers to assistants, and teachers to students. Monks will even walk in rank order, with the oldest in front and most junior at the end. As a foreigner you will notice that certain people will ask you more personal questions to identify your “rank” in their hierarchy. They may change the way they converse with you depending on what they think your status is. The majority of Cambodians follow Theravada Buddhism, which follows the belief of reincarnation and karma. One key component of Cambodian culture, derived from Buddhism, is a concept referred to as “saving face”. As a result of being a collective society, it is extremely important to protect the reputation of yourself as well as the group, whether it is family, friends, company, etc. This means that you should never “loose your cool” in public. Even if a situation is extremely uncomfortable or awkward, do not make it worse by “loosing your cool”, or in another words, loosing your temper. Greetings between Cambodians are dependent on the hierarchical relationship between the people. The person who is the eldest is most likely the person that is going to greet you. Respect must always be shown to the most senior person in the room. When introducing yourself you are expected to bow your head and put your hands together as if you are praying. The lower you bow, the most respect you are showing to the person you are greeting. If you are meeting a Cambodian for the first time you should wait until they initiate the greeting, because sometimes when greeting westerners they may use a handshake and other times it can be a head bow. Gifts are commonly given during Cambodian New Year. Do not use white wrapping paper for gifts as it is the color of mourning. Birthday celebrations? I think not! In Cambodia, it is uncommon to celebrate birthdays. In fact, some older people may not even know their exact date of birth. Your head is known as the highest and most spiritual part of a persons’ body and your feet are the most unsanitary and least sacred. So basically what this mean is never touch a person on the head, as it is considered very disrespectful. Well to start off, Cambodia is a very spiritual country. 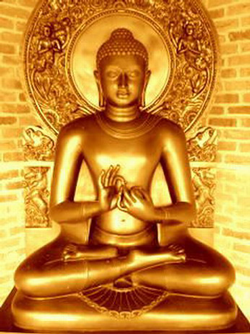 It offers many different temples to visit as well as some beautiful attractions. Angkor Wat is a must see when visiting Cambodia. The ancient ruins hidden deep within the dense jungle is one of the world’s most beautiful sites. Whether you’re looking for beautiful beaches, exotic forest, or remote jungle Cambodia offers an incredible experience. Cambodia's unique history and diverse geography offer endless opportunities for adventure and exploration. Global Basecamps and our Cambodia inbound tour operating partner acknowledges the importance of sustainable tourism and cultural respect. Ready to plan your Cambodia eco adventure? 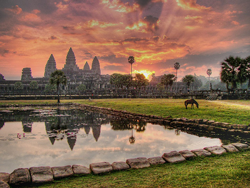 Visit our Cambodia tours page or call us at 866.577.2462.